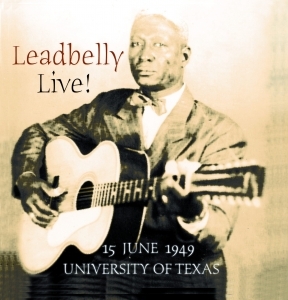 A rare in concert performance from the ever popular Leadbelly. Discovered in prison in the 1930’s, Huddie Leadbetter had a song repertoire of vast proportions although he had done no commercial recording. Amongst the songs that he introduced were “Goodnight Irene” and “Rock Island Line” which went on to form the foundation of the skiffle movement of the 50’s when revived by Lonnie Donegan. This recording was made at the University Of Texas during June Of 1949.